Rising Hero Sudheer Babu is all set for the release his new movie Samanthakamani on the 14th of July 2017. He is working on the promotions of the film right now. Along with this, he has also started homework for his next movie which will be a biopic on the badminton legend Pullela Gopichand. Young hero Sudheer babu has confirmed that he will be doing a film with Praveen Sattaru. However, the actor is not quite sure when this movie will go on the floors. Gopichand is a renowned badminton player, who coached players like P.V Sindhu, and is the founder of Gopichand Academy. It is a known fact that Sudheer Babu himself was a state level badminton player and he played alongside Gopichand in doubles as well. They know each other on a personal level and for this reason, Sudheer is very confident about playing Gopichand. It looks like he has dedicated himself to this movie. Sudheer has already shed 3kgs of weight. Apparently, he will shed 5 more in the near future to achieve a slimmer figure. It is said, foreign prosthetic make up artists will be working on this film. Earlier rumours came in that Mahesh will be seen in this film. However, Sudher clarified as follows, “Mahesh doin as pullela gopi isn’t true & I am not producing it either. However I & praveen sattaru want to do a film on gopi’s life & I will be playing as gopi. as of now not sure wen this will go on floor.” Details about cast and crew of this biopic are yet to be revealed. Since Gopichand is a national level sports player, the biopic will be released in Hindi as well. 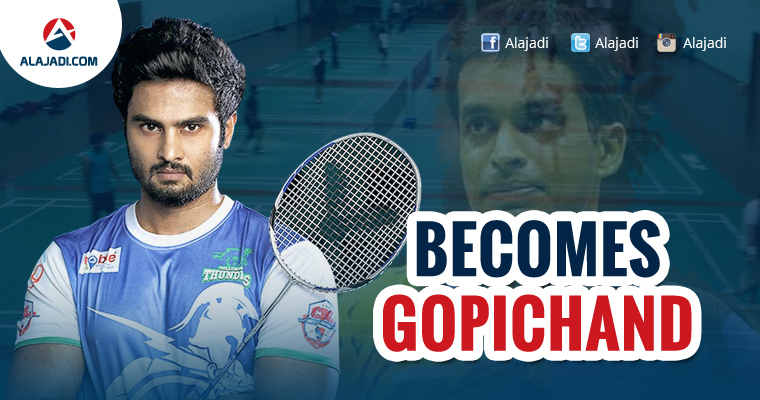 Let us hope Sudheer Babu will be able to do complete justice to Gopichand’s biopic.